PHNOM PENH, CAMBODIA-March 18, 2011. Cambodian Prime Minister Hun Sen on Friday ordered the anti-corruption unit (ACU) to investigate officials of social work who have the irregular cases of making corruption of state budget for helping the social work. “The ACU have to investigate and condemn the corruption officials who caused inactively and rule without transportation for state budget which used to support the disabled and retired people,” premier Hun Sen said. He also urged the local officials to facilitate for them to get the salary smoothly and regularly with transparency. Some local officials made corruption through demanding some money before getting salary. They used the salary for social work to get interest rate through delaying the time for paying salary. They used state budget to own benefit. Soldiers and retried people always hosted strike to demand their monthly salary. Special Advisor for Children’s Issues Ambassador Susan Jacobs visited Cambodia March 17-18 for fact finding meetings on inter-country adoptions, the statement from US embassy here on Friday. It added: ambassador Jacobs met with Cambodian government officials and representatives from other embassies to discuss the state of implementation of prakas and level of compliance to the Hague convention on adoptions. The United States looks forward to working with the Cambodian government as it establishes a child welfare system and will review carefully the implementing regulations related to the new law on inter-country adoptions as they are issued. “We recommend the Royal Government of Cambodia for their accomplishments to date in increasing protection for vulnerable children. The United States has not set a date for resumption of inter country adoption with Cambodia,” the statement said. U.S. Deputy Assistant Secretary of State Joseph Yun, who is visiting Cambodia, and yesterday he met with Cambodian Foreign Minister Hor Namhong. Both sides talked on debt in Lon Nol regime. Cambodia wants to see the aid to be converted into development aid and Cambodia would pay interest of 1 percent, rather than the 3 percent demanded by Washington. Up to now, that the United States values the debt at more than $445 million, rather than the $317 million Cambodia reckons it owes. The whole debt could be cancelled. But both sides need agree on that, Koy Kuong, Cambodian Undersecretary of State for Foreign Affairs, told reporter yesterday. U.S. Secretary of State Hillary Clinton visited Cambodia in November and called for talks on the debt. The proposal will be sent to congress to decide. PHNOM PENH, CAMBODIA, MARCH 18, 2011-The Cambodian government officials on Friday paid condolences for one minute silence for Tsunami victims in Japan before starting the Cabinet’s weekly meeting. “One minute of silence before the start of Government weekly meeting is to pay condolences to Japanese people,” Khieun Khanarith, government spokesman and information minister said. “We expressed our heart to join condolences with Japanese people as friendly country,” He added. Samdech Hun Sen, prime minister of government, presided over the cabinet’s meeting and he recommended the government officials to go to pay the condolences at Japanese embassy here. The Cambodian people shared their money to help Japanese people and a local TV will collect the money and send that money to the Japanese embassy in Phnom Penh. The Japanese embassy opened to allow the Cambodians to pay respect to victims from Tsunami March 11. The government also said that there is no Cambodian student learning in Japan suffered from Tsunami. 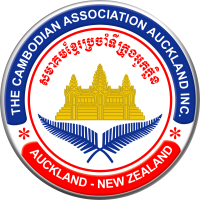 The Cambodian government last week donated $1000, 000 to victims through the Japanese embassy here. “The money is very small for Japanese people but this is our heart to help Japanese people, Samdech Hun Sen said. The ministry of meteorology and water resources of Cambodia announced that there is no radio-action from leaking of nuclear reactors plants in Japan spreading to Cambodia. Cambodia get rainfall in rare season. Through facebook, Cambodian users replied each other to express their condolences to families of victims and Japanese government. “The Cambodians are poor, but we have big minds to help other people during this tragedy, “a face book user said, adding that long live, Cambodian- Japanese relationship. Cambodian students at schools and universities joined the condolences. Japan this week inked to provide $94 million grant aid to help Cambodia in building software and hardware infrastructure to boost development in the country despite Tsunami in Japan. Last month, a bridge over Mekong River at Neak Loung from donation of Japan was broken the ground to construct under the witnesses of Samdech Hun Sen, Japanese ambassador here and vice foreign minister of Japan in opening ceremony. Japan is a biggest donor for Cambodia and also helps UN- Cambodia court to seek justice for victims during Pol Pot regime in 1975-1979. Japanese ambassador to Phnom Penh told media earlier week that there is not aid reduction for Cambodia despite Tsunami in Japan. PHNOM PENH, CAMBODIA, MARCH 18, 2011-Former top leader of yellow Shirt Group in Thailand, and senior official for Thai Patriot Network (TPN) Mr. Veera and his secretary Mrs. Ratree who jailed in Cambodia officially asked the royal pardon, and previously they plan to file the complaints and now they changed their stances to ask royal pardon. “The ministry on March 16 already got their petitions to ask royal pardon through Thai embassy here and the letter will send to justice ministry,” spokesman for foreign ministry, Kuoy Khong, said. He did not elaborate in details. Strongman of yellow shirt group, Veera Somkwamkid and Ratree Pipatanapaiboon were sentenced by the Phnom Penh Capital Court of First Instance on February 1 to eight and six years imprisonment respectively on the charges of espionage, illegally entry into military base, and illegal entry against immigrant law of Cambodia. They were arrested along with five other Thais, including Democrat lawmaker Panich Vikitsreth, on December 29 while the crossed border illegally. Mr. Panich and other two released through granted bail. Cambodian Prime Minister Hun Sen had said earlier that the two could not seek a royal pardon until they had served two-thirds of their terms. Samdech Hun Sen blamed the yellow shirt group in Bangkok cursed Khmer every day. Thailand and Cambodia have been at loggerheads after Thai troops invaded Cambodian soil at area near 11th century Khmer Preah Vihear temple through own map. The aggression occurred after Cambodian enlisted successfully the temple as world heritage site with world heritage committee. Border skirmishes near Preah Vihear Temple erupted on February 4-7 claiming some 10 lives, including those of three civilians on both sides and thousands of families fled home for safety. That fresh fighting urged Cambodia to file complaints to UN Security Council and the UN gave the time for regional organization ASEAN to resolve the conflict. Feb 22, Cambodia and Thailand agreed to accept the Indonesian observers, and Cambodia asked to Indonesia to send quickly to monitor the permanent ceasefire. April 7-8, JBC and GBC meeting will be held in Bogor in Indonesia under witness from Indonesia as chairman of ASEAN. In May, Unesco will summon Cambodia- Thailand over the damage of the temple during the fighting in earlier Feb.
Thailand has plan to develop and manage the temple in the meeting in Bahrain in June. Cambodia will summit the plan in Bahrain.